‘Youth’ have recently become the centre of development debates, particularly around African agriculture. A poorly defined category of young people – maybe adults, sometimes children – youth are presented in relation to a dizzying array of policy narratives. To get a sense, just dip into recent reports by AGRA (the Alliance for a Green Revolution in Africa), FAO and IFAD (the UN Food and Agriculture Organisation and the International Fund for Agricultural Development), the ILO (International Labour Organisation), the World Bank or IFPRI (International Food Policy Institute). 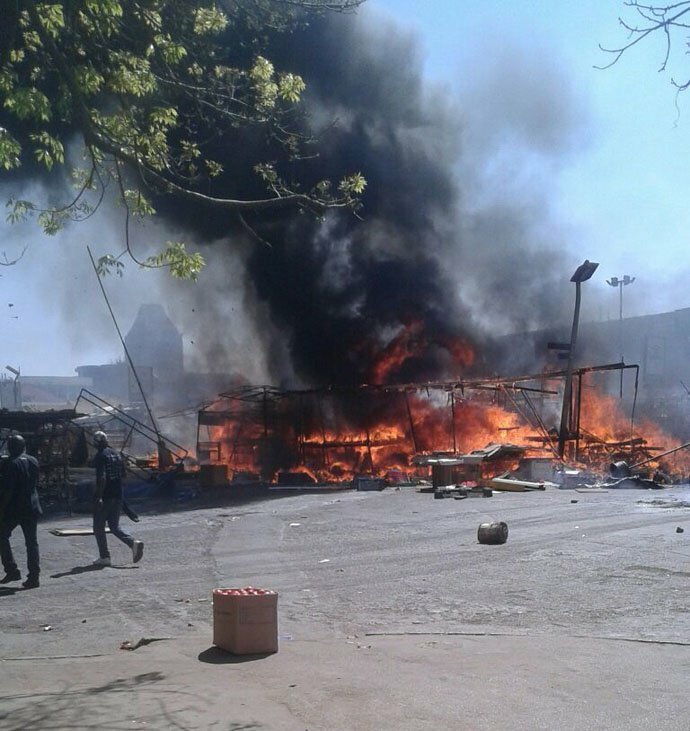 Building on earlier commentary, in this series of five blogs I want to unpick some of these, and reflect on them in relation to new data from Zimbabwe, grounding the often very generic debate in context. 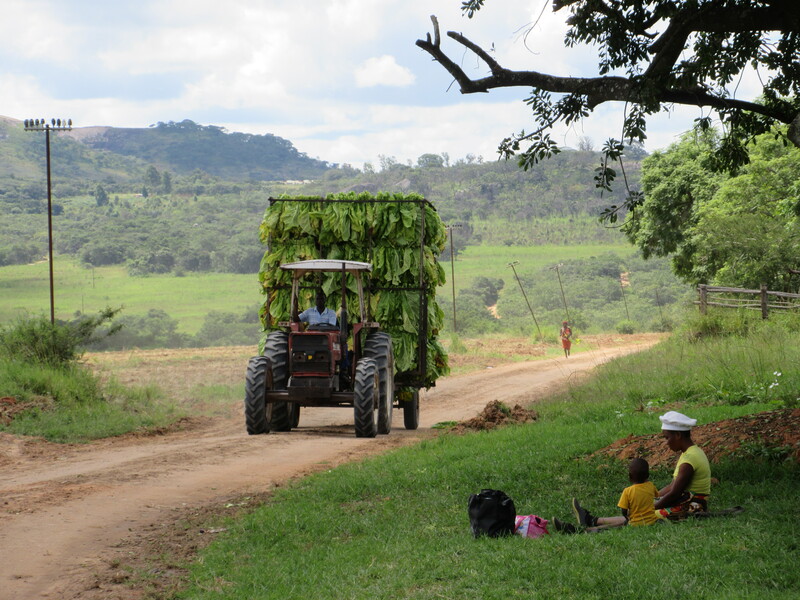 A central policy concern, in Zimbabwe and beyond, is who will be the next generation of small-scale farmers. This is particularly important in relation to land reform. With a major redistribution to one generation, what happens to the next? Are they going to do what their parents and grandparents did? Or will they leave agriculture for other livelihood options? Or are they going to transform agri-food systems, in ways unimagined by their parents? In this hot policy debate, narratives compete with each other, depending on the positioning of the commentator. A doom-and-gloom narrative of exit is a frequent one articulated in policy debates. Admonished for not being committed to agriculture, young people are seen as a problem – creating a demographic ‘threat’, a ‘youth bulge’ of the unemployed, migrating to towns or abroad, and becoming a burden on society, and in some cases a potential source of disruption through civil upheaval or even terrorism. Other narratives present youth as victims of accelerating scarcities – of land and livelihood options – prevented from getting on by ‘tradition’, ‘elders’ or state policy that is failing to provide for them. This in turn leads to a ‘wasted generation’; often of educated youth, unable to contribute, limited by structural constraints of society, economy or politics. Contrasting these pessimistic narratives are others that offer a positive spin. Here the ‘entrepreneurial’ youth is celebrated. Tech-savvy, business-oriented, educated young people can, so goes the argument, contribute to agriculture in new ways, across value chains. Rather than their peasant parents, enslaved to a life of drudgery in agriculture, the new generation can make agriculture a business, and unleash the economic value of land and agriculture, especially in areas where land is abundant. As a route to modernization and technological transformation, youth are seen, in these narratives, as the vanguard. 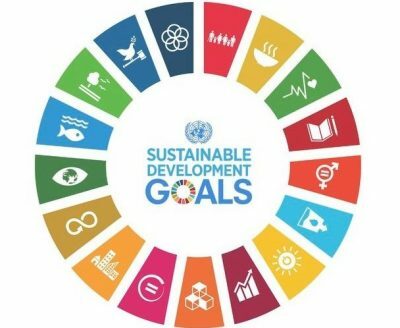 Many influential organisations supporting agriculture in Africa – as in the reports highlighted earlier – adopt the positive, young person as entrepreneur narrative, while at the same threatening the worst (migration, civil strife and more) if nothing is done. As with all narratives – possible stories about the world and its future – there are grains of truth in each. However, too often in the current policy debates they are not located in context, and so broad, high-flown policy proclamations are too often floated without grounding. In a number of important interventions, colleagues at IDS and across the Future Agricultures Consortium have critiqued and nuanced these positions, offering a more sophisticated perspective on youth and agriculture, including foci on youth aspirations, perspectives, opportunity spaces and imagined futures. Other work has looked at the ‘life courses’ of young people, showing how varied and non-linear young people’s life trajectories are. Still other work has tried to locate a rather narrow ‘youth’ debate within a bigger picture of economic and demographic transition, with changing opportunities for accumulation influenced by shifts in the political economy of rural, agrarian spaces and wider economies. In Zimbabwe the ‘youth’ debate is especially heated, but also conditioned by a particular context. What will happen to the next generation post land reform? Will they demand their rights to land as their parents did in the land invasions of 2000? Or can they find off-farm employment in a highly depressed economy? Which farming areas and what types of farming – and linked activity – can support more people, and how will youth be involved? These are the sort of questions that have been exercising us in our work in Mvurwi, Masvingo and Matobo over the last few years, as we seek to explore the consequences of land reform on people’s livelihoods across the country. There are some major changes afoot, and our understandings of livelihoods after land reform must certainly take generational questions into account. Past patterns of demographic transition, linked to a classic southern African pattern of circular migration, have changed. In the past, a young man would leave home (often after marriage following the establishment of an independent home, but still economically reliant on parents); they would send remittances home to their wife/parents, and build up assets (notably cattle); and then return home later, following a period of stable employment in towns, in the mines or on the farms. Some women would follow the same route, but patrilocal marriage arrangements, and a highly gendered labour economy would restrict options, and women would move on marriage to their husband’s home, often remaining in the rural communal area, committing to social reproduction and farming. Today, things are totally different. Patterns of migration have changed, both in terms of destination and who goes when. Men and women migrate, but often only to temporary, more fragile employment, with just a few gaining access to stable employment, often abroad. This is highly dependent on education, and so the resources of parents, restricting social mobility. Otherwise, the local economy, at least since the mid-1990s, has been precarious, offering only short-term work. The so-called kukiya kiya economy involves trading, panning, vending, and overall dealing and hustling. This is the new form of jobless work of the informal economy, as described by James Ferguson for South Africa, with multiple, fragmented classes of labour, as observed by Henry Bernstein. Such work is for survival. It creates vulnerability and precarity, and so little opportunity of accumulation. In the last 20 years, and particularly recently, this is the alternative to farming and land-based livelihoods for most. In our on-going study across our sites, we have been interested in exploring how young people have been responding to these conditions, and asking what difference land reform makes. Those who were born at the time of land reform in 2000 are now in secondary school, approaching ‘Form IV’, when the majority leave. What are they thinking about what the future holds? Those who were at school at land reform, between around 5 and 16, are now in their 20s and early 30s. How have they fared after school in practice? 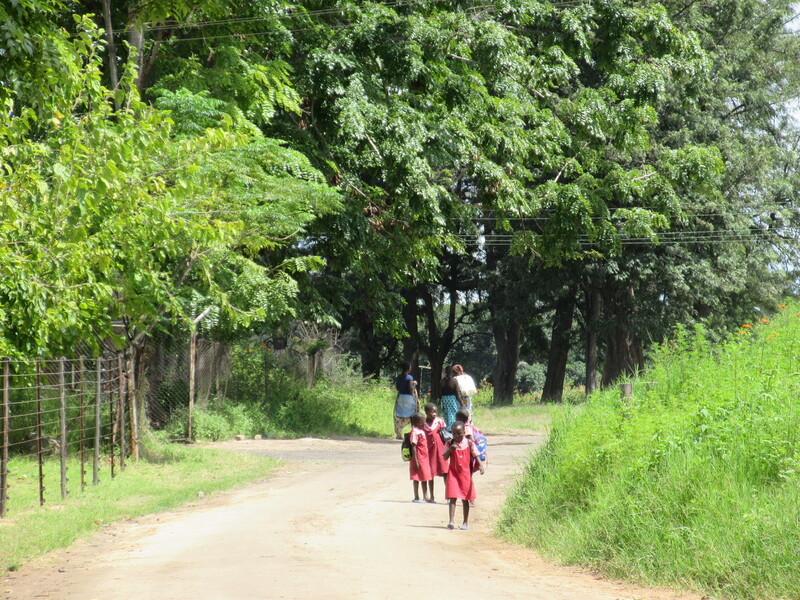 We have been looking at these two groups of ‘youth’ in A1 resettlement areas in three sites across country – Mvurwi (an high potential commercial hotspot), Wondedzo (in Masvingo district, but with reasonable rainfall and not far from a medium-sized town) and Chikombedzi (a remote location on the border of South Africa, in the marginal, dry far south of the country). These are areas we have been working in for a while, so we know the areas, and have been researching the lives and livelihoods of those who gained land through land reform. So what have we done so far? First, we explored the perceptions of today’s Form IVs – nearly all aged between 16 and 19 – in three schools in or close to A1 resettlement areas, asking about what they imagined they would be doing in 20 years, and what constraints they thought were in the way. This was done through a combination of a ‘Q sort’ exercise and focus group discussions. Second, we sampled a cohort of those now between 20 and 31, who were kids of people in our long-standing sample. This group has (mostly) left school, and allowed us to explore what actually happened to a group of people (half men, half women) in the age group immediately above those we discussed with at school settings. Through a simple questionnaire we examined what happened to all children in this age cohort in the sample households, and pursued in detail their experiences, perceptions and life stories through a series of in-depth interviews, mostly of those who were resident or visiting their parental homes. Aiming to go beyond the simplistic narratives, with this data we have an opportunity to explore not only imaginaries of the future but also emerging life courses, and examine how outcomes related to, for example, gender, location (high to low potential areas), the wealth status (including asset ownership) of their parents and the educational qualifications, both of the young people and their parents. In turn, we explored what our sample of young people were doing, how they had been surviving, and how they were establishing homes and families, and how they were striking up relationships with land and agriculture, including what opportunities for accumulation existed, and how the prospects for and experiences of entering adulthood appeared. The analysis is on-going but in the coming weeks, I will share some of the emerging findings, and begin to explore some of the implications. Feedback on our emerging in analysis will be much appreciated. Why is IDS a special institution? The Institute of Development Studies (IDS) at the University of Sussex is celebrating its 50th birthday this year. I have been working here for a shocking 40% of this time, and in the week of a major anniversary conference, I thought I should jot a few thoughts down on why IDS has been and remains special. In 1966, the Institute was founded with Dudley Seers as the first director. It was designated a ‘special institution’ by the UK government, with a particular mandate for research and training. In the period following the end of colonialism, Britain had a special role and needed a special institution. The project of ‘development’ in the ‘Third World’ back then was not supposed to last 50 years. But today with a different focus and new challenges the need for critical, engaged research and training is needed perhaps even more than ever. But what for me is special, and why have I remained committed to IDS for now more than 20 years? There have been many tributes, reflections and summary histories offered, but none for me capture the importance of IDS’ radical, critical traditions: the ability to challenge orthodoxies, to speak truth to power, and to translate this into action. Being neither a purely academic institution, nor a NGO or think tank, but a hybrid, not fettered by the constraints and limitations of either, is very important. It can be uncomfortable; but that’s the point. When I first came to IDS in 1995, there was always a classic set-piece debate between Michael Lipton and Robert Chambers at the beginning of each academic year. They represented two different views on development, held productively in tension. Of course they agreed more than the performance suggested, but it was a useful highlight of how a common normative commitment to progressive change could be looked at through very different lenses: between top-down and bottom-up, between macro-structural and micro-people focused analyses, between economics and wider social sciences, and so on. Using diverse approaches, encapsulated in the 1993 classic, States and Markets, IDS research over many years has challenged what became the dominant neoliberal paradigm, encapsulated in its most extreme ideological form by the ‘Washington Consensus’. In the last 20 years, these debates have continued in different forms. There have been many excellent contributions that have taken the stance represented more by the Lipton side of the debate – from looking at industrial clusters and value chains to the economic role of the rising powers – as well as many that have emphasised more the Chambers-type perspectives – including the on-going work on participation, citizenship and popular politics. But actually the most challenging contributions have been when such perspectives have been in dialogue. This is only possible in a cross-disciplinary institution, where the drag of narrow disciplinary specialisms – and the horrific metric-dominated assessment approaches that go with this today – do not limit interaction and creativity. Let me highlight a few of these areas (of many), where I think IDS work (and crucially that of its global network of partners) has been especially exciting. One area that I have been fairly centrally involved in, and I think is quintessentially IDS, is work on livelihoods. Indeed with both Chambers and Lipton involved, this was from the beginning a syncretic endeavour. When I produced the 1998 IDS Working Paper on the sustainable livelihoods framework, both reviewed it. And indeed the framework – with its long back history involving many people from Jeremy Swift to Susanna Moorhead to Richard Longhurst, among others – was the result of just these conversations: an approach explicitly aimed at involving economists, yet not forgetting the social, political and institutional. More recently I have reflected on the limitations, particularly as applied in development practice, and argued for a more structural, political economy perspective as central to livelihoods approaches. 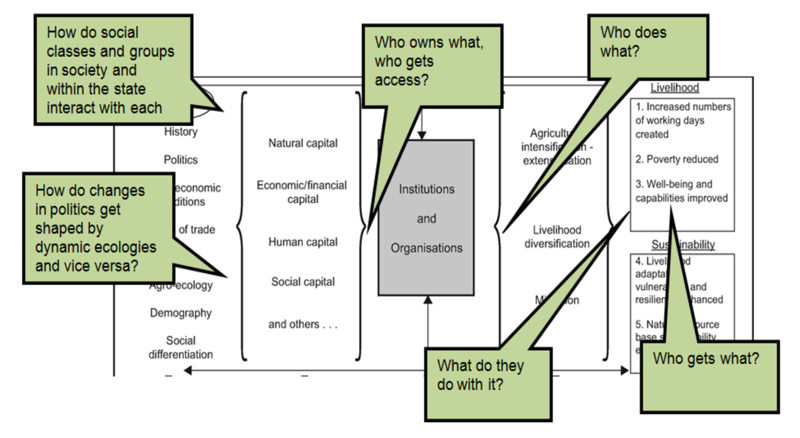 This tension between wider structural, political-economic analysis and more locality-focused, participatory understandings was perhaps best illustrated during the 2000s when IDS hosted two of the early DFID Development Research Centres – one on the state and one on citizenship, led by two formidable political scientists – Mick Moore and John Gaventa. With IDS by then exclusively reliant on external, tied support from different donors, inevitably projects had to respond to the contours of the funding environment, and this slightly odd division reflected that in DFID at the time. But hosted within one institution it allowed for a productive, if at times tetchy, debate. Does citizen action construct states, or do states construct citizens? And what do states and citizens constitute anyway? Both centres provided an important challenge, once again, to the neoliberal versions being touted elsewhere. Work on gender empowerment has been a central feature of work at IDS and Sussex since the 1970s, and the classic contributions of Kate Young and Annie Whitehead. Naila Kabeer, Anne Marie Goetz, Andrea Cornwall and many others followed the tradition, offering challenging scholarship rooted in real struggles. But here too the important tension between structural change versus collective organisation from below played out again. In feminist analyses of course the personal is always political – and vice versa. However in discussions of ‘empowerment’ we see different strands, ranging from those focusing on economic empowerment and formal rights, versus those emphasising individual agency, the politics of the body and sexuality. Debating these dimensions has been a massively important contribution. Whether taking a more structural view or one more focused on individual or collective agency, knowledge framings matter. The politics of knowledge has been especially emphasised in IDS work on the environment, which really took off in a big way from the early 1990s. As Robert Chambers memorably asked: whose reality counts? The now classic 1996 book, The Lie of the Land, edited by Melissa Leach and Robin Mearns, asked why it was that so often environmental management and policy in Africa – from the colonial era to the present – does not respond to realities on the ground, and systematically ignores local knowledges. The answer of course is politics – and how experts, embedded in institutions, understand the world. This theme of the politics of the policy process has been a central theme of IDS work on environment and resources over 20 years. Building on strong connections with IDS’ sister institution at Sussex, the Science Policy Research Unit (SPRU), also celebrating 50 years this year, we jointly launched the STEPS Centre in 2006, with ESRC funds, and with Melissa Leach and Andy Stirling I have had the privilege of jointly directing the Centre since then. Here a highly productive synergy between the concerns of development studies and science and technology studies has unfolded over the past decade. 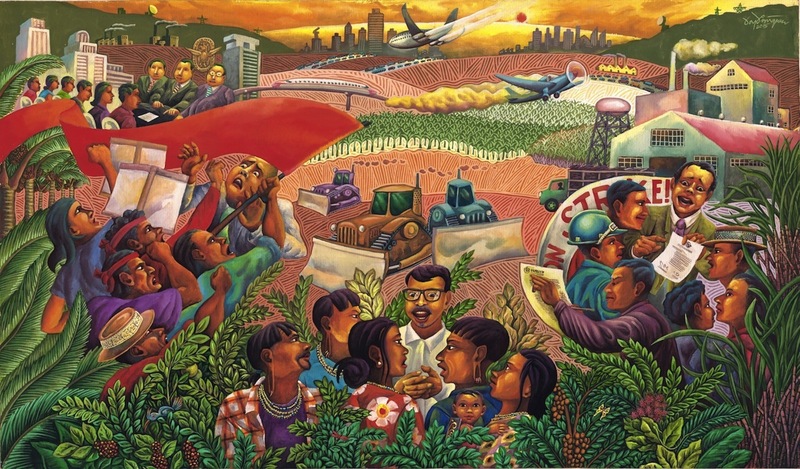 With knowledge, politics, and power central, we too have struggled with understanding ‘pathways to sustainability’ that at once capture the relational agency of diverse actors and the wider conditioning effects of political economy. Once again a cross-disciplinary engagement has been absolutely essential –and immensely exciting, intellectually and practically. None of these research efforts, often lasting long periods, with multiple funders, and diverse research teams at Sussex and beyond, is aimed solely at producing outputs from esteemed academic journals (although there have been plenty of these). All IDS researchers are committed to change: generating ideas to make a difference. In the world of often pointless impact case studies and metrics this may sound glib; but political engagement matters not just to analysis, but also to practice. The first two images of the official but rather selective IDS 50th anniversary timeline are one of Stanmer House, a very English country house in the South Downs, near the campus of the University of Sussex where IDS was first based, and a Warhol-esque picture of Chairman Mao. It is these sort of contrasts, tensions and yes contradictions that keeps IDS on its toes, and makes it, despite the funding pressures, an exciting place to work – and really does make IDS a special institution. My book, Sustainable Livelihoods and Rural Development, has just been published by Practical Action Publishing and Fernwood. It appears in the ‘short books for big ideas’ agrarian and peasant studies series, and tries to offer a readable overview of the key debates, as well as suggesting important new directions. Being short, accessible and on a massive topic that I know quite a bit about, it was very difficult to write, and took quite a while to come to fruition. You can buy it here for a bit of discount at under £10. It’s based on years of work, much of it in Zimbabwe. Over the past few decades, livelihoods perspectives have become increasingly central to discussions of rural development. They have offered a way of integrating sectoral concerns and rooting development in the specifics of different settings, being centred on understandings of what people do to make a living in diverse circumstances and differentiated social contexts. 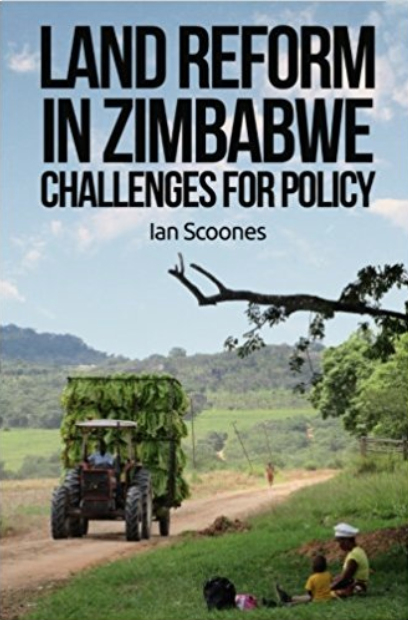 This has been at the centre of work on livelihoods after land reform in Zimbabwe, as well as my long-term work that preceded this. As I mention in the acknowledgements, the book would not have happened without that experience, and the conversations and interactions with many in Zimbabwe over the past 30 years. From classic studies of seasonality, livelihood change and vulnerability in the 1980s and 90s, to the presentation of more synthetic frameworks in the 1990s, first from. Robert Chambers and Gordon Conway’s classic IDS discussion paper of 1992 that was followed by my 1998 paper that proposed a Sustainable Livelihoods Framework, based on work on-going at the time with colleagues in Bangladesh, Ethiopia and Mali, and led by Jeremy Swift. These perspectives contributed to a major change in aid programming and funding approaches, and many agencies adopted various forms of a ‘sustainable livelihoods approach’. There followed multiple responses: huge numbers of studies, consultancies, trainings and communications efforts, as the interest in livelihoods approaches took hold. But what has happened since? Livelihoods is no longer the buzzword. The fickle faddism of development has been taken over by others since. But the underlying arguments of livelihoods analyses still have relevance, this short book argues. The message is clear: livelihoods approaches are an essential lens on questions of rural development, poverty and wellbeing, but these need to be situated in a better understanding of the political economy of agrarian change. As Henry Bernstein of SOAS, University of London comments, the book “makes a potent argument for reinstating an expansive perspective on livelihoods, informed by the political economy of agrarian change, at the centre of current concerns with overcoming rural inequality and poverty”. In his review, Simon Batterbury of the University of Melbourne observes: “Nurturing sustainable livelihoods for the poor is not just about recognising their exceptional skill at making a living, which includes diversifying livelihoods, jumping scales, and nesting home places within productive networks, but also mitigating their vulnerability to land grabs, drought and floods, natural disasters, corporate greed and venal politics”. Drawing on critical agrarian and environmental studies, some new questions are posed that challenge and extend earlier livelihoods frameworks. Four dimensions of a new politics of livelihoods are suggested: a politics of interests, individuals, knowledge and ecology. Together, these suggest new ways of conceptualizing rural and agrarian issues, with profound implications for thinking and action. As Tony Bebbington of Clark University in the US comments, the book “places livelihood thinking in context, explores its applications, explains its limits and – perhaps most important of all – persuades the reader that being political and being practical are absolutely not mutually exclusive options in development, whether writing about it or working within it”. You can read more comments about the book, check out the table of contents and buy it for a discounted price for a limited time here. I hope it proves useful to researchers, practitioners and students, and helps to revive livelihoods thinking and approaches, in a new more politically oriented guise, for a new generation of research, policy and practice. Let me know what you think!